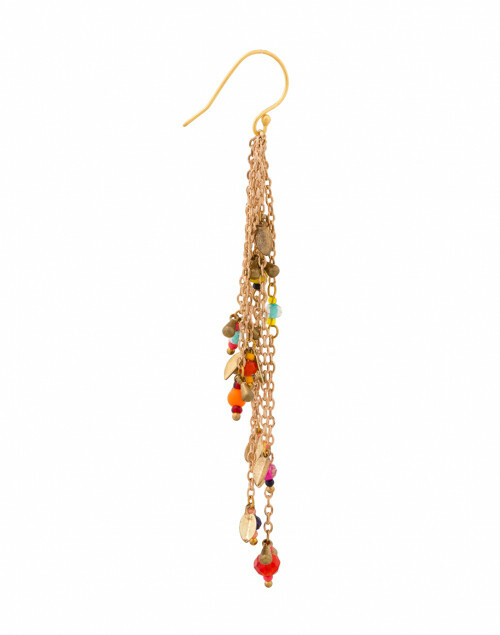 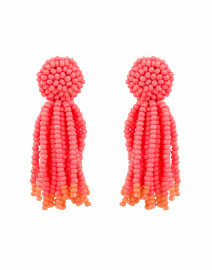 Add a bold and playful touch to an evening ensemble with these multicolor beaded chain earrings by Megan Park. 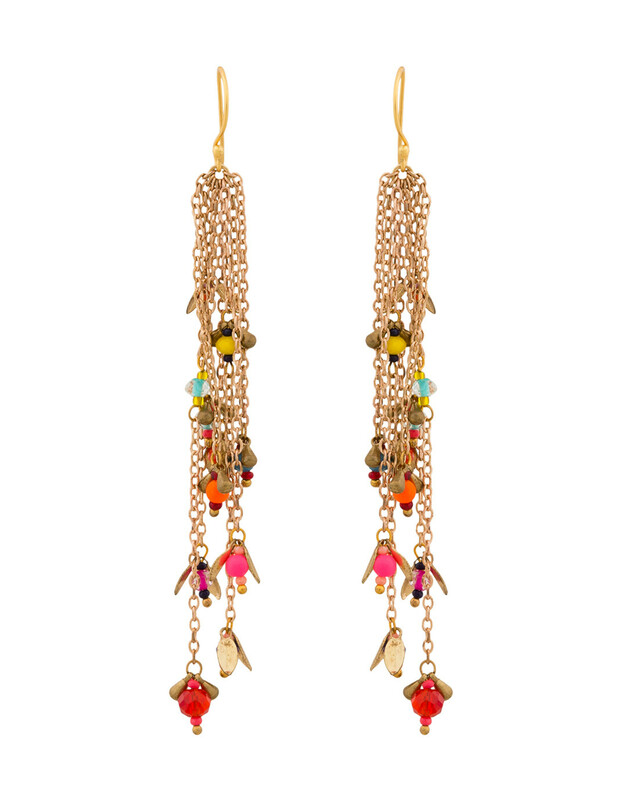 These gold plated chain earrings vary in length, forming dynamic tassel-like strands that are complete with glass cut beads and dainty gold leaves. 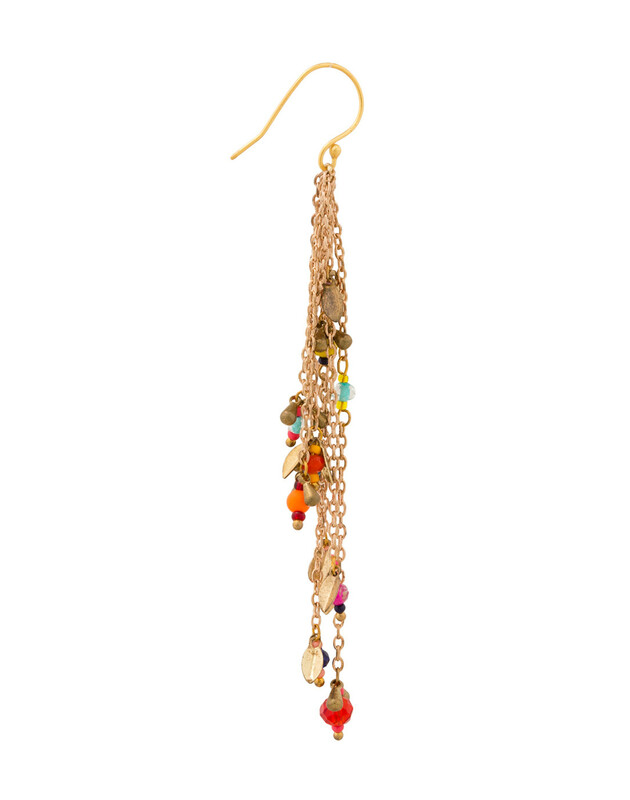 These earrings add fun movement to every look. 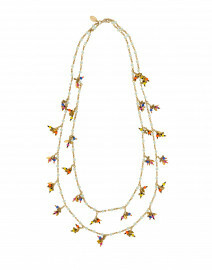 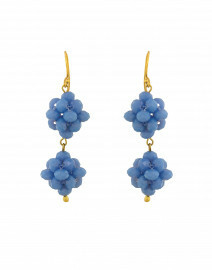 Pair with a brightly colored blouse for festive and fun ensemble.